Continuing on from our previous post, let’s learn a little more about your career compatibility. The very best place to begin when exploring the worlds of work and numerology is with The Life Path Number. This core number carries your unique vibration and describes the essence of the journey you will take in the world, leading you towards your highest potential. Perhaps you got a degree in one of the more academic subjects at school, but your real passion lies in the arts? Or maybe you’ve recently had your numerology chart drawn up and all the numbers point towards you being a philanthropist (with that Life Path 9!) but instead, you’re in sales or marketing? Since I’ve been writing this series I’ve been thinking about my own life path and the careers I have had. Yes, I said careers because like me, you will probably have multiple jobs and multiple streams of income as you climb those career ladders to the top. I’m on a Life path 3 and I’ve written about the mission of a 3 life path here. The number 3 is a creative path, but I’m only now, after years working away in a corporate environment, actually earning my living and identifying with my purely creative expression as a writer and metaphysician. From the outside, my working world and my inner motivation would have looked completely at odds, but even in my previous life, I was still expressing my creativity! From writing programs and designing applications for business, to coming up with new and innovative approaches as an executive, to both how we did business and how to motivate my global staff. The working environment didn’t put me off my mission in life – my purpose was strong. 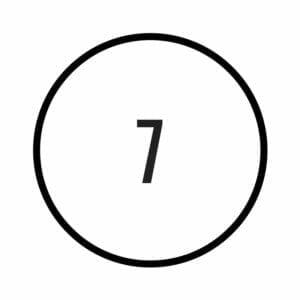 When I think of the Life Path 7, I think of someone who likes to learn the details and who has a quest for knowledge that often takes them onto career paths that require a great deal of intellectual discipline. Sevens are the students of life. Think Virgo, possibly, for an astrological example. Like the earth sign Virgos, sevens have the ability to delve into the detail and also can ground that knowledge in ways that truly benefit the world, especially in the healing arts. They may work as alternative therapists, naturopath or unconventional medicine. investigator; executive, banking or finance professional. Life path 7s can be solitary workers, not only do they desire to learn as much as possible but they also prefer working things out on their own before collaborating with others. So 7 Life Path can make great researchers, analysts or IT consultants. You may also find Life Paths 7 working in science, as an engineer, computer programmer or web designer. And like those born under the sun sign Virgo, 7s can tend towards being more reserved or inner–focused than some of the other life paths. Sevens need time to themselves to work with their intellectual curiosity and pursuits, which makes them people who often grow in being amongst the wise ones, their wisdom drawn from study, knowledge and experience over a lifetime. So here you are a life path 7 and not in a job that sounds even remotely like the life mission of a 7! One of the most interesting sevens I’ve met is a woman who is a private investigator. Now how does that mesh with her 7 life path? It does in ways that are both innovative and compelling: She holds the vision of her work as truly being of service to others, whilst her job satisfies her intellectual curiosity about both people and behavior. Plus her commitment to detail and thoroughness make her very successful in her work. Regardless of profession, if you are a life path 7, you will be drawn to that which stimulates your intellect and allows you to really get at the details of a situation or problem that needs to be solved. You may be the one in your family who handles all the complex paperwork surrounding caring for older parents – a Life Path 7 can take all those forms and complicated regulations and not only make sense of them but be the person who holds the knowledge for everyone else. 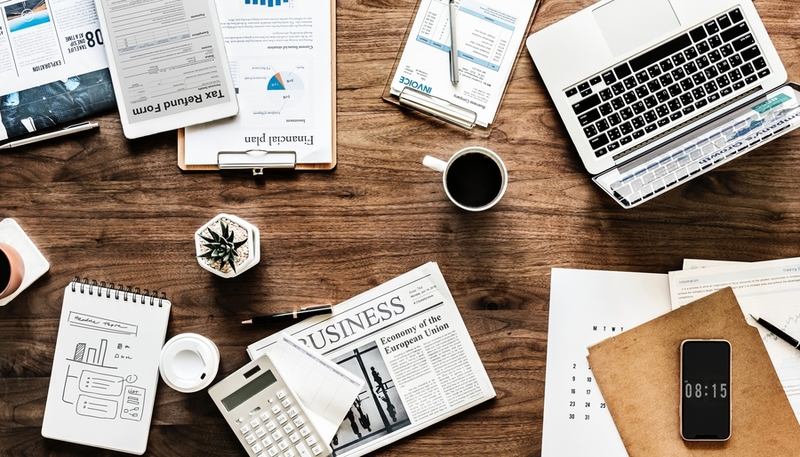 As a life path seven, you might make an ideal business partner to a head-in-the-clouds-big-picture-person who doesn’t have the interest to run market reports. Your life path seven will be at work whether you are researching the best schools to send your kids or you are out in the garage engineering a new and more efficient mouse trap! Don’t forget, you have within you the wise man or woman – a great gift to all. The Life Path 8 cannot help but bring to mind the word abundance. 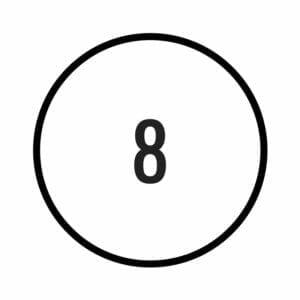 Just looking at the beauty and symmetry of the number 8 with its symbolic quality of infinity opens the mind up to an expansive way of looking at the world. Eights are great with math and money. So you could think astrologically of a Life Path 8 as a mature Taurus – closer to Capricorn energy – someone who has mastered money, math and power and is a force to be reckoned with in the world! And just like you might find a Capricorn sitting as the CEO of a major global enterprise, those with a Life Path 8 can vastly improve the lives of others by putting their money to work for the benefit of all. Just recently I was watching a television piece about the group billionaire Warren Buffet has put together, of fellow billionaires committed to giving their fortunes away during their lifetime in ways that improve life for all of us. At their pinnacle, a Life Path 8 would be right at home in such a group, unless swayed somewhere along the way with the accumulation of wealth for its own sake. Life Path 8s are just as likely to find success working as a business owner or independent contractor, as a manager, supervisor, advisor, consultant or as a mentor or coach. They may work as a politician in public-relations or in banking or finance. The possibilities are endless for this Life Path! However, most Life Path 8s can’t help but want to leave a legacy so they may work as builders, founders of financial institutions or find other innovative ways to use their wealth to better the planet. If you have heard of the new term ‘agrihood,’ then you might be aware of a movement towards building communities around farms that is taking hold in several parts of the U.S. The environmentally conscious developer behind one such community, Serosun Farms, in Illinois is John DeWald & Associates, a Real Estate Investment Consortium. The focus is on sustainability, farm-to-table cuisine while also using green technology for upscale modern homes. If John DeWald isn’t a life path eight he is certainly aligned with that energy – as a landowner and builder of a new way to approach community design that also holds ideals of environmentalism, organic farming and a symbiotic relationship with the land. So here you are a life path 8 and not in a job that even sounds like what an eight would do? You may feel like an underachiever reading all that a life path eight can offer to the world. But Life Path 8s are in for the long hall so wherever you are in your life, know that you have a life path that gives you the perseverance to build enterprises or programs of lasting value. And abundance is not just about money. Your Life Path embodies the abundance of energy, optimism and gratitude, so you just might be the ‘wealthiest’ person in your group in love, friendship, contentment and peace. Wealth comes in many forms and a legacy of wealth can be given and handed down in an abundance of love, good will and kindness. Most likely you will easily make money at whatever you put your energy towards so don’t worry too much about a particular career path and instead focus on offering yourself to enterprises and projects that improve the world for the better. With your natural ability to motivate people and your ease of managing and attracting money you cannot help but succeed. When I think of Life Path 9 I immediately think of the zodiac sign Pisces – the most spiritually compassionate sign in the wheel. Life Path 9s are on a spiritual path and are often found in careers that allow them to express that spirituality in ways that are of service to others. So you might find a life path nine in a spiritual profession such as a minister or other member of the clergy; but it is also just as likely that you will find a Life Path 9 working in social activism or within organizations dedicated to humanitarian causes. Life path nines might be the ones who find new ways to help feed the hungry or shelter displaced refugees. It is the most humanitarian of life paths where spirituality and spiritual belief is used for the greater good of all. Life path nines have an extremely strong sense of compassion and generosity and are selfless and feel a strong purpose in helping others. Like those born under the sign Pisces, number 9 Life Path are happiest when devoted to the service of others. Life path 9s can make great leaders: Gandhi was a Life Path 9 – an example of spiritual belief in action with the leadership and power to transform a nation. Mother Theresa was another Life Path 9, devoting her life’s work to the forgotten poor of India and leaving behind a legacy and organization that continues her humanitarian work today. Their strong social consciousness means that 9s can be effective in government as politicians, lobbyists, lawyers and environmentalists. Life path nines make good leaders, humanitarians, philanthropists, artists, spiritual teachers and accomplished creatives. They may work in health or education or in law, becoming judges or lawyers. Their compassion and experience can lead them to acting or politics, or into therapies such as counselling or social work. Nines have a strong need to devote themselves to something meaningful whether in career or creative work. Artists are often 9 Life Paths as 9s are highly accomplished people. Just like you will often find artists among Pisces, an artist on a 9 life path will demonstrate some of the highest proficiency of her chosen profession. Singer and songwriter Adele is a Life Path 9 which may explain why her music is so transcendent to so many, and why her ability to be authentic regardless of fame and fortune speaks to everyone. Frank Lloyd Wright was a Life Path 9 who expressed his aesthetic ideals through beautiful and functional architecture. Nines are imaginative and creative with a loving honoring of the environment. So a Life Path 9 may become an interior decorator, landscape architect. So here you are a life path 9 and you are not in a job that even sounds like what a nine would do? As a Life Path 9, the most important aspect is to express that natural selfless energy in a way that has a positive social impact. People are drawn to those on a 9 Life Path – your natural leadership and charisma give you the opportunity to influence others in ways that further your ideals. So whether you work in an office or run a daycare as a Life Path 9 you will influence the people around you and be forever looking for ways to help others. You cannot do anything else! As one of the highest spiritual Life Paths, you find fulfilment in sharing and sacrificing for a larger goal. Regardless of your chosen career, you’ll find a way to pursue your humanitarian ambitions, whether through volunteering your time to help those less fortunate or sitting on the Board of a non-profit working to provide resources to those less fortunate. As a nine you have a great opportunity to teach others through how you live your own life. Your honesty, integrity and commitment to your ideals are rallying cries to others to live for the greater good. So whether you’re 16 or 60, there’s a way for you to find job fulfilment in what you are currently doing! It’s just a matter of aligning with your Life Path Number and thinking creatively … your perfect career could be closer than you think! Again, if you’re looking for Life Path 1, Life Path 2 or Life Path 3, head here or Life Path 4, Life Path 5 or Life Path 6, head here.